Bromine is a reddish-brown liquid found in the earth’s crust and seawater, historically used as a sedative. It is used in the production of flame retardants and has a variety of other uses. Bromine can be found in gasoline, in pesticides, and in water purification compounds, often replacing chlorine for pool water. It is corrosive to tissue as well as some metals; contact may first produce cooling sensation followed by burning. Bromine produces toxic, suffocating fumes, so proper handling is crucial to maximize the safety of your personnel. It is noncombustible, but capable of increasing the burning of combustible materials, so it is important to observe safety regulations when storing it. Bromine is a strong oxidizing agent, capable of igniting combustible material on contact, so this chemical should be handled with care. 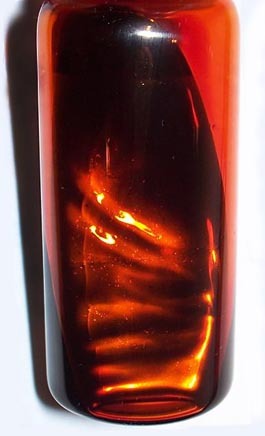 Bromine gas is heavier than air, so quantities are capable of settling in low-lying places. It is important to store bromine separately from combustible materials as well as reducing agents. To maximize safety within your facility, segregate bromine and store it in a dry, well-marked container. The chemical storage area should be cool and well-ventilated to prevent the buildup of fumes. Our Non-Fire Rated CHEMLoc storage building is perfect for non-flammable materials such as bromine. Designed to be the most durable non-fire rated building in the chemical storage industry, this building is built from continuously welded 12-gauge steel to protect your hazardous materials from harsh environments. Featuring a secondary containment sump, our CHEMLoc storage building can be customized and furnished with ventilation and fire suppression systems to further safeguard your personnel and inventory. The CHEMLoc storage building is built for compliance, helping you maintain a safe environment within your facility.